It seems hardly a month passes without somebody on Vridar bringing up Galatians 1:19, in which Paul refers to James as the “brother of the Lord.” Recently I ran a search for the phrase here, and after reading each post, it struck me how much time we’ve spent wondering what it means and so little time asking why it’s there in the first place. What is the function of “brother of the Lord” in that sentence? Notice we can ask this question without raising the hackles of either the mythicists or historicists. Forget what it might mean. Forget (at least for the moment) who you think wrote it. It could have been Paul. It might have been the very first reader who added it as a marginal note or a scribe at some point along the transmission path. Instead, let’s ask why. It would appear on the surface, at least, that “brother of the Lord” is a kind of descriptor. In other words, it tells us which James Paul met. Since 1:19 is the first time Paul mentions James in Galatians, perhaps that’s why we see it here. But then why didn’t Paul do the same thing in 1 Corinthians, which he probably wrote in the same year? One could argue that since he’d already referred to “the twelve” in 1 Cor 15:5, Paul didn’t need to explain which James he meant. In fact, he may have been reciting an early resurrection credo, and as such everyone would already have known who all the characters were — Cephas, the Twelve, the 500 brothers. They needed no introduction, so to speak. We finally come to the question of how my Simonian hypothesis would deal with the inconsistent Pauline position regarding the Mosaic Law. Like resurrection, the Law was a subject about which Simon of Samaria’s teaching differed significantly from that of the proto-orthodox. So if the Paul who authored the original letters was Simon, we can expect to find in the canonical versions signs of proto-orthodox intervention aimed at the correction of his errors on that issue. Most of what the Apostle wrote about the Law was in the context of its relationship to sin and justification. It is thought that Gal. 2:16 is the earliest mention in the letters of justification/righteousness/rectification (dikaioō; dikaiosynē) by faith apart from works of the Law. Teachers— again, apparently connected to the Jerusalem church—were pushing his Galatian faithful to receive circumcision and observe at least some parts of the Law. The teachers were likely preaching a justification that was in some way connected with the Law. The Apostle responded with a letter that put a different twist on this. Justification becomes easier to understand if God’s beef was with the sinfully proud spirits who ruled the world. But if justification by faith was not at the center of the Apostle’s gospel, he did see it as at least a nonnegotiable implication. And this makes sense if, as I proposed in posts 7 through 9, the written source of his gospel message was the Vision of Isaiah. For the Vision foretells that preachers will be sent out into the whole world (Ascension of Isaiah 9:17, in the L2 and S versions), but does not say that the Law or Law observance will be part of what they preach. The Law is not mentioned at all in the Vision nor does it say anything about a distinction of Jews from Gentiles. It condemns the spirit rulers of this world and offers a life in heaven to their subjects, but gives no special prerogatives to the Jewish ones. The idea that the message must first be offered to Jews and only afterwards to Gentiles is absent. One could easily conclude that if the Vision doesn’t require circumcision or Law observance as conditions for liberation from the rulers, it is wrong for preachers of the gospel to require such. Apparently all that is required to benefit from the preached message is to believe it and, while waiting for the imminent destruction of this world, to conduct oneself in a way pleasing to the God who graciously initiated the rescue. judge and destroy the princes and angels and gods of that world, and the world that is dominated by them. For they have denied me and said: “We alone are and there is none beside us.” (Ascension of Isaiah 10:12-13). In the Vision men come across not as the guilty, but as the victims. Their plight is to live in a dark world run by rulers whose “envy of one another and fighting…” make it a place where “there is a power of evil and envying about trifles” (Ascension of Isaiah 10:29). The “angels of death” (10:14) keep those who have died locked in Sheol until the Son comes to free them. In this series I have been examining passages in the Pauline letters from a particular angle. Marcion claimed that the man who wrote the originals was someone who did not believe the god of the Old Testament to be the supreme God. And the letters, said Marcion, had been interpolated by someone who aimed to Judaize them. These claims combined with certain commonalities between Paul and the infamous Simon of Samaria—a man whose teaching allegedly did place the god who made the world far below the highest God—are what led me to consider whether the author of the original letters could have been Simon. Was the name Paul, i.e., the little one, a name that Simon who claimed to be “somebody great” (Acts 8:9) either at some point adopted himself or had given to him by followers or enemies? And could the many inconsistences in the Paulines have been caused by an early interpolator whose insertions were meant to make the original letters compatible with his proto-orthodox beliefs and more moderate toward Judaism? It is with these possibilities in mind that I have been re-reading the letters. I want to separate the apparent zigs from the zags, and then look to see if the zigs are plausible as expressions of Simon’s teaching and the zags as proto-orthodox insertions. In this post I will consider whether 1 Corinthians 15 in its current state makes sense as an early (c. 130) proto-orthodox sanitization of a passage by Simon that denied the resurrection of the body. This approach will be continued in this post on chapter 15 of 1 Corinthians, a passage in which—if my Simonian scenario is correct—I would expect to find proto-orthodox intervention. For the main subject of the chapter—the resurrection of the dead—is one about which proto-orthodox belief differed from that of Simon. The Father of Gnosticism is said to have taught that man’s spirit is the only part of him that is from the highest God and, as such, is the only part that can survive the coming destruction of this world. Man’s body is the inferior work of the inferior angels who made the visible world and is radically unfit for the highest world. In contrast, the proto-orthodox held that this world including the human body is fundamentally good, having been made by the one true God, the God spoken of in the Old Testament Scriptures. The body, as God’s work, possesses a definite dignity, a dignity that can be marred by sin but can also be restored by him. Thus proto-orthodox resurrection of the dead is resurrection of the whole man, including the body. For the proto-orthodox, denial of the resurrection of the body is the same thing as denial of the resurrection of the dead. And such denial is incompatible with really being a Christian. Is it plausible that the real Paul would have failed to have his gospel summary make explicit mention that the death was by crucifixion? I expect that many readers of Vridar are already familiar with Robert M. Price’s article in which he argues that 1 Corinthians 15:3-11 is not a “window… into the earliest days of Christian belief,” but rather a “piece of later, post-Pauline Christianity” (“Apocryphal Apparitions: 1 Corinthians 15:3-11 as a Post-Pauline Interpolation”, in The Empty Tomb: Jesus Beyond the Grave, edited by Robert M. Price and Jeffery J. Lowder, p. 69 ) The article can be read online at Prices’s website: www.robertmprice.mindvendor.com. I basically agree with Price on the above points and would add a few other observations. without specifying that the death was by crucifixion. resolved to know nothing… except Jesus Christ, and him crucified (1 Cor. 2:2). Given the circumstances, is it plausible that the real Paul would have failed to have his gospel summary make explicit mention that the death was by crucifixion? It is unrealistic to think that the afterlife only came up much later in the Apostle’s dealings with his churches. . . . The passage would have us believe that he had never previously told the Corinthians that they will one day have a body like the one the risen Christ has. And at face value the passage would have us believe that the Apostle had previously neglected to tell the Corinthians what their afterlife existence would be like. The passage does not say that the Apostle had preached the resurrection and that his hearers had not understood it; nor does it reproach them for forgetfulness. It is important to realize this: the passage does not say that the Apostle had preached the resurrection of the dead and that his hearers had not understood it. Nor does it reproach them with forgetfulness of what he had said about that doctrine. What it says is that the Apostle had preached the gospel to them—a gospel that included the resurrection of Christ—but it makes no claim that he ever addressed the nature of their own afterlife in any of his instructions. This passage together with the defense of resurrection that follows it would have us believe that he had never previously told the Corinthians that they will one day have a body that is like the one the risen Christ has. It wants us to believe he had wrongly assumed all of them would deduce that on their own, and so he had never expressly said a word about it. To me this supposed omission on the Apostle’s part is suspicious. The nature of the afterlife is just too central and important a matter to have been completely left out by him. It is unrealistic to think that it only came up much later in the Apostle’s dealings with his churches. It is the kind of thing that would have come up from the beginning in all kinds of discussions about Christian hopes and expectations. Until recently I have had little interest in arguments that our apparently earliest written gospel, the Gospel of Mark, was composed as an attempt to teach the ideas of Paul as found in his letters. 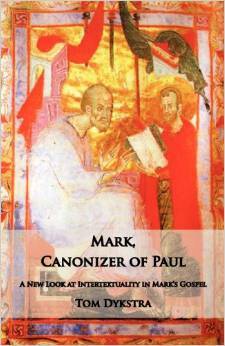 After reading Mark, Canonizer of Paul by Tom Dykstra I am now more sympathetic to the possibility that the author of this gospel really was writing as a follower of Paul. Dykstra introduces his argument by pointing out how curiously uninterested the author of the Gospel of Mark is in the contents of Jesus’ teachings. Jesus is said to teach with authority and crowds are said to be impressed with his teachings but exactly what he taught in the synagogues or to those who crowded around to hear him in a house is left unsaid. Jesus does teach a lot of parables warning hearers of the consequences of not believing the gospel but the content of that gospel, the detail of what they must believe, is never stated. About the only teaching Mark’s Jesus is said to have delivered is little more than “Keep the commandments”. Then there is the curious ending: why does Mark virtually leave the resurrection details out of the story altogether? This situation makes sense, Dykstra suggests, if Paul had died and his teachings were in danger of being eclipsed by his opponents. In chapter two and relying primarily upon Michael Goulder’s argument in St. Paul vs. St. Peter: A Tale of Two Missions Dykstra presents a scenario of a sharp divide between two different types of gospels. Goulder was reviving (and responding to criticisms of) an 1831 interpretation by Ferdinand Baur. If the evangelist wanted to create a narrative to bolster the embattled teachings and authority of Paul he would need to project a dispute of his own and Paul’s day back into that narrative. The narrative would also need to show that apostles who came prior to Paul, even those claiming to be his brothers and those who were reputed as “pillars” in the church, failed to understand Jesus. When I finished the previous post of the series, I expected to go on to a discussion of the eschatology in chapter 15 of 1 Corinthians. But while working on that, I quickly realized that chapters 1 through 4 of the letter should be examined first. They provide some necessary background on the situation in the church at Corinth. So this post will consider these earlier chapters from the perspective of my hypotheses that the Paul who wrote the Corinthian letters was Simon of Samaria, his gospel was based on the Vision of Isaiah, and his letters were subsequently interpolated (as late as 130 CE) by a proto-orthodox Christian. I have already discussed 1 Cor. 2:6-9 in part 7 of the series. My interpretation of that passage will be incorporated here into a view of the Corinthian controversy as a whole. 1 Corinthians begins with four chapters in which the Apostle expresses concern about some kind of wisdom that, in his absence, was being put forward by certain Christians at Corinth and was giving rise to factions in the church there. The nature of the troublesome wisdom is unclear but, from a consideration of the entire Corinthian correspondence, it seems to me most likely that it was the product of people laying claim to the gift of prophecy. Its proponents likely believed that their wisdom, like the Apostle’s own (1 Cor. 2:6-9), was revealed by God. The Apostle refers to the purveyors of the wisdom as fellow workers, but it becomes clear in the course of his presentation that he views at least some of them as competitors and has serious reservations about whether their teaching is in harmony with the gospel. That gospel, as I proposed in parts 7 through 9, was likely derived from the Vision of Isaiah, and for the Apostle its truth was confirmed by the divine revelation that he himself had received. He has no comparable assurance for the suspect wisdom. Those pushing it apparently accepted, at least initially, the Apostle’s gospel beliefs, for without that minimal commonality it is hard to see how he could have allowed them to operate at all in his community. And he does say that they were building on the foundation— Jesus Christ (1 Cor. 3:11, 1:23 and 2:2)—that he himself “as a wise master builder” (1 Cor. 3:10) had laid down in Corinth. He makes clear that use of that foundation is non-negotiable: “No man can lay a foundation other than the one that is there” (1 Cor. 3:11). To try to substitute another would in effect destroy the edifice, and “if any man destroys God’s temple, God will destroy that man; for the temple of God, which you are, is holy” (1 Cor. 3:17). But building on the right foundation is not enough. What is built on it must be able to survive the coming conflagration and the Apostle seems to doubt that the materials being used by his competitors at Corinth will pass that test. Thus we are apparently dealing with wisdoms inspired by different spirits and, according to Simon/Paul, only one of them—his—certainly comes from God. The Apostle’s repeated belittlement of mere “wisdom of word” and “wisdom of man” and “wisdom of the world” seems to be an indirect putdown of what his competitors are teaching. His wisdom is from God. He is not so sure about the source of theirs. The “wisdom of man,” as the Apostle uses the expression, is an inferior wisdom whose source is merely “the spirit of man that is in him” (1 Cor. 2:11). And the source of the “wisdom of this world” is “the spirit of the world” (1 Cor. 2:12), i.e., the ignorant angel who together with his spirit underlings are the “rulers of this world” (1 Cor. 2:6). Later, as the situation further deteriorates at Corinth and the Apostle comes to view the competing wisdom as “a different gospel” (2 Cor. 11:4), he supplies the name of the angel. He is “Satan” who “masquerades as an angel of light” (2 Cor. 11:14). Thus we are apparently dealing with wisdoms inspired by different spirits and, according to Simon/Paul, only one of them—his—certainly comes from God. The Acts Seminar Report (Acts and Christian Beginnings) maintains that, contrary to the view that has long been widely held among biblical scholars, the author of Acts (with the routine caveats we call him Luke) did know and use the letters of Paul. I begin with some comments by one of the Acts Seminar Fellows, Richard Pervo, in his 2006 work, Dating Acts, because thy sum up some of the apparent reasons scholars have traditionally rejected the idea that Luke knew (or used) the letters of Paul. Pervo, however, was able to note that a growing appreciation of Luke as an author allows us to acknowledge that as a creative writer Luke was free to use or not use sources as he willed. Scholars have also come to increasingly accept that even as an ancient historian his purposes differed from those of modern historians. That is to say that the question can no longer be dismissed by resorting to the shoulds and woulds that posit what Luke would have done and how he should have used Paul. Statements of this nature reveal what their proponents would do, but shed no light upon ancient practices in general or upon Lucan practice in particular. They are egocentric and anachronistic. Especially painful for some has been the inevitable conclusion that, if Luke knew Pauline letters, he ignored them at some points and contradicted them at others. Why this experience should be more painful than it is with regard to the Gospel of Mark — which Luke also ignored at some points and contradicted more than once — is not perfectly clear, but there can be no doubt it has been a burden. So why would Luke have created such a different Paul from the one found in the letters? And why would he have used the letters to create that different Paul? I’ll return to that question at the end of this post. This is the third post in the series: A Simonian Origin for Christianity. Cerdo, from Antioch, learned his doctrines of two gods from the Simonians. (Irenaeus: Against Heresies, 1.27,1). Cerdo, like Marcion after him, also believed that the Pauline letters had been interpolated and some forged. (Tertullian: Against All Heresies, 6.2). In the previous post I showed how my hypothesis would tie the inconsistencies in the Pauline letters to the early conflict between Simonian and proto-orthodox Christians. The inconsistencies would have resulted from proto-orthodox interpolations made to letters that were of Simonian provenance. The intent behind the interpolations was to correct Simonian errors. I noted how the earliest known Christian to claim that the Paulines had been interpolated was someone associated with a Simonian from Antioch. And I provided from the first chapter of the letter collection an example of an interpolation that appears to have Simon in view. In this post I want to show how the three earliest Deutero-Pauline letters would fit into my hypothetical scenario. I will show how Simon’s successor, Menander, makes a good candidate for author of the letters to the Colossians and the Ephesians. And I will propose a new explanation for why 2 Thessalonians was written. 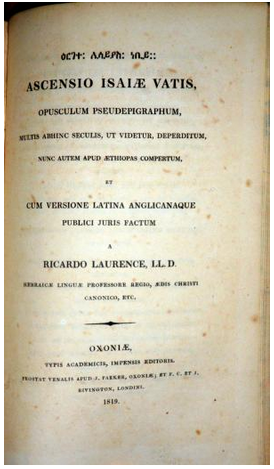 Even though what the extant record says about Menander is meager, the little it does provide is sufficient to show that he should be considered a good candidate for author of Colossians.Justin, our earliest source on Menander, says that he, like Simon, was originally from Samaria but “deceived many while he was in Antioch” (1st Apologia, 26). His activity in Antioch occurred presumably in the last third of the first century. And the theological development that occurred within Simonian Christianity when Menander succeeded Simon looks very much like what took place between the seven so-called undisputed letters and Colossians, the earliest of the Deutero-Paulines.. In Colossians, someone claiming to be Paul says that those who have been baptized into Christ have already experienced a kind of spiritual resurrection. . . This is something the author of the seven undisputed letters never says. For him, resurrection is something he is striving to obtain. There are many considerations of both writing style and theological content that have led scholars to recognize that Colossians is a pseudepigraphon. 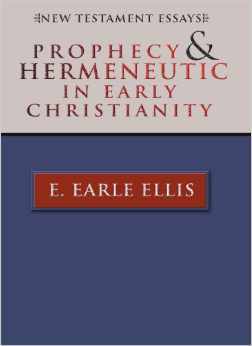 But one of the most easily-noticed ways it differs theologically from the undisputed letters is in its eschatology. In Colossians, someone claiming to be Paul says that those who have been baptized into Christ have already experienced a kind of spiritual resurrection. He tells his readers that God “made you alive with him [Christ]” (Col. 2:13). They were “raised with Christ” (Col.2:12 and 3:1). And he locates this resurrection in baptism (Col. 2:12). Was Paul ashamed of his “claim to knowledge by revelation”? I have to disagree with at least two of Ed’s assertions. First, I wouldn’t put too much stock in the Acts of the Apostles when it comes to biographical information about Paul. In fact, anyone who argues that the Judean and Galilean followers (i.e., the “disciples”) have a claim on authenticity while Paul was a charlatan should certainly hold the Acts at arm’s length. For here we have an apologetic, late (second-century CE) work that desperately tries to gloss over Peter’s and Paul’s differences while practically erasing James altogether. Moreover, we have no evidence that Paul himself ever used the term “Christian” or for that matter would have even recognized the term. The only other NT book that uses Christian is the first epistle of Peter, also a very late work. Lately I’ve been researching the terms “born out of due time” and “ektroma,” and I’m now leaning toward Robert M. Price’s conclusion. But first some thoughts on terminology. Early Christ Myth Theorists on Paul’s and the Gospels’ Jesus: ‘Is This Not the Carpenter?’ ch. 6 continued. When starting this post I had hoped it would complete my discussion of Robert M. Price’s chapter, “Does the Christ Myth Theory Require an Early Date for the Pauline Epistles?” in ‘Is This Not the Carpenter?’. This was meant to address Price’s reasons for thinking that the gospel narratives of Jesus — or any stories of an earthly life of Jesus — first made their appearance well into the second century. I have sometimes argued the same, but Price does so from a quite different perspective (drawing on what we know of Marcion and early Marcionism) from anything I had considered. Before getting into Price’s argument some background was necessary. Unfortunately or otherwise, that background turned into a substantial post of its own, so here it is now. Price’s arguments for a second century creation of the gospels will have to wait. This post continues Price’s comparative study of early mythicist views of the relationship between Paul’s letters and the narratives of Jesus found in the gospels. Regardless of the date of Paul’s letters, this has long been the foundation of the Christ Myth theory. As I pointed out in the first post on this chapter, Price discusses the views of today’s pre-eminent mythicists, G. A. Wells and Earl Doherty, noting their preference for the orthodox view of the Pauline epistles. That is, that they are written by “the genuine” Paul and thus belong to the middle of the first century, well before the gospels were penned. It is now necessary to look at the earlier arguments for sake of comparison, as Price does. Paul-Louis Couchoud accepted the genuineness of Pauline letters “at least in their shorter, Marcionite editions”. 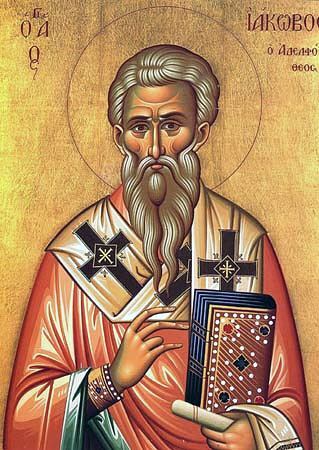 He argued that Marcion penned 2 Thessalonians and Ephesians (known originally as Laodiceans) , but also that he wrote the first gospel — after the Bar Kochba revolt (133 c.e.) — and lived to see other gospels expand upon his. Robert M. Price argues that it makes little difference to the case for Jesus being nothing more than a mythical construct if Paul’s letters are judged to be early or late, or even if written before the gospels. This is the theme of his chapter “Does the Christ Myth Theory Require an Early Date for the Pauline Epistles?” in ‘Is This Not the Carpenter?’: the question of the historicity of the figure of Jesus. He also raises the question of whether modern Christ myth advocates should be more critical of the Pauline epistles as an earlier generation of scholars were. Today’s two main proponents of the Christ myth theory (Earl Doherty and George A. Wells) argue for the conventional view of the genuineness of Paul’s letters. Both agree that they belong to the mid first century period, well before the first gospel was composed. Most scholars certainly agree that the gospels were composed after Paul wrote his letters, but the “mythicist” argument goes one step further and says that interested parties only created a “biographical-historical” figure of Jesus well after Paul wrote his letters. That is, the earliest evidence for Christianity, the New Testament epistles, testify only of a theological concept of Jesus. The concept of an earthly Jesus living out a career of teaching and healing, calling disciples and confronting Pharisees, was a relatively late development in the history of Christianity. After covering in some detail the arguments and counter-arguments over whether any passage in Paul’s letters is indeed evidence that Paul knew any traditions stemming from an historical Jesus, Price casts back to earlier mythicists and what they had to say about the relationship between Paul’s letters (and their dogmatic or theological Jesus) and the Gospels (with their “biographical” Jesus), as well various arguments about relative dating and authenticity. James McGrath blogged with reference to the recent interview with and follow up comments by Earl Doherty here, and Earl Doherty has replied here. For ease of reference I bring the two — McGrath’s post and Doherty’s response — together in this post. Neil Godfrey has kindly posted an interview with Earl Doherty and then Doherty’s response to a question from Evan, who also frequently comments here at Exploring Our Matrix. 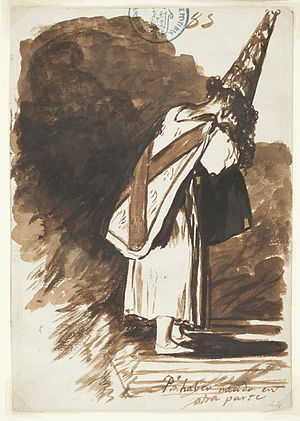 The question relates to whether and why Doherty accepts the existence of a historical Paul, but not a historical Jesus. It is a fantastic question. If mythicism emerges out of a principled stance that literary documents alone, or in particular literary documents all from a particular religious tradition, cannot serve as historical evidence for the existence of persons, then there ought to be no difference in how the two are viewed. The difference of genre between letters claiming to be written by Paul and Gospels claiming to be about Jesus is for all intents and purposes irrelevant when it comes to this question, since there is no more difficulty forging letters from a fictional person than in “forging characters” in a fictional narrative. Doherty, in fact, believes that a historical Paul makes better sense of the evidence. That is, of course, precisely the stance of historians when it comes to the question of the existence of a historical Jesus. I am curious whether Neil Godfrey, Evan, and others will criticize Doherty for this or will be pleased with his answer. Either way it should make for interesting discussion. First let me comment on Jim McGrath’s remarks posted on his blog. If Jim really believes that there is no difference between the evidence for Paul and the evidence for Jesus (regardless of how they are to be ranked), if he believes that accepting one figure requires that we must accept the other, he has very little understanding about the arguments for mythicism. And he is ignoring the very differences I pointed out in the posting he has quoted from this blog. “Earl Doherty Believes Paul Existed…For Much the Same Reasons Historians Believe Jesus Existed. Yes, it may be their stance, but that does not make the two positions necessarily equal in merit, and certainly not for the same “reasons.” Every field of research, or some segment of it, will make a similar claim, that its current conclusion makes the best sense of the evidence. Until, that is, some other research comes along and demonstrates otherwise. And one case of such a claim can hardly be used to prove the legitimacy of some other case. This is a peculiar type of fallacy. There is no question that historicists claim that the existence of an HJ makes better sense of the evidence. But are they justified in so claiming? Are they being unbiased and free from predisposition? Are they immune from reading one set of documents into another? Are their arguments coherent and free of fallacy? The mythicist position is that they are not. The fact that we hold respective convictions that we’ve made the best sense of the evidence is not dramatic in itself and hardly proves anything. Jim seems to be suggesting that my acceptance of the likelihood of an historical Paul and my rejection of the likelihood of an historical Jesus is some kind of arbitrary eenie-meenie-minee-moe. Rather, it is a matter of subjecting each case to its own careful and unbiased examination. One of the major differences I put forward was the nature of the evidence. We have writings purporting to be by Paul, but none by Jesus. Much of the ‘genuine’ Pauline letters have the sound of a real person with all its human emotions and weaknesses, its personal experiences and reactions to real-life situations. The “sound” of Jesus in the Gospels, on the other hand, is a bunch of set-pieces and mirrorings of scripture, almost nothing in the way of an identifiable personality. Even his third-person-related deeds are midrashic rewrites of passages from scripture. On the cross, Mark can give him nothing more to say than a line from Psalm 22. As for the epistles, they ‘recount’ Jesus’ life by paraphrasing lines from passages like Isaiah 53, as in 1 Peter 2:22. This is just one example of the differences between the two ‘records’ and why a conviction of reality in regard to Paul has its own reasons which are quite distinct from the reasons historicists may have for their conviction of reality for the Gospel figure. If Jim cannot recognize those differences and their quality, or chooses to ignore them, it is no wonder he finds the mythicist case so easy to dismiss. Do mythicists read Paul’s references to Jesus’ humanity as interpolations or metaphors? This is another misinformed assertion advanced by some who appear never to have read mythicist publications. I most recently noticed it in a response to another post by James McGrath complaining that mythicists do or don’t do or argue this and that, and again without offering any specific examples to inform readers of the basis for his accusations. I show here that the exact opposite is the case. You know what they say about false accusations being projections etc. It is indeed the historicists who explain away contrary evidence as metaphor, and it is the “historicists” who are the ones who have made the arguments for interpolations. The first point one needs to address in the implication that humanity of Jesus, or his existence in the flesh, must by definition mean Jesus was a historical figure. This is a false assumption. Many mythical figures have been described or implied as “human” or having “bodies of flesh”. The accusation, I think, usually is targeted specifically at what the person believes Doherty argues.